ARA-NIE and SUNGASHI. 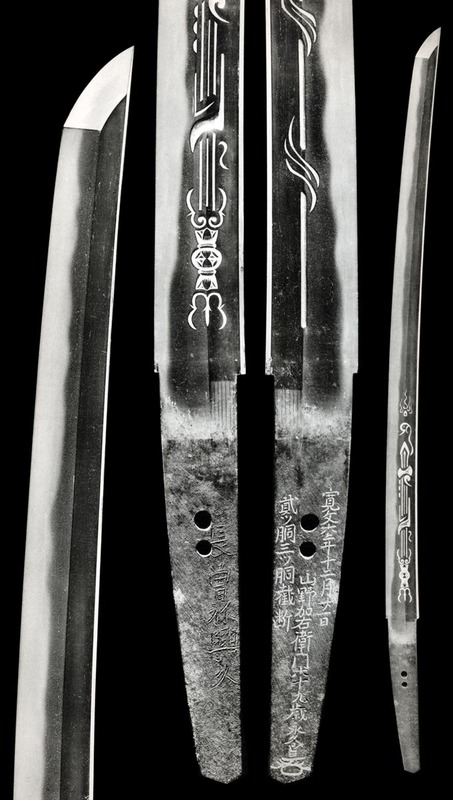 Swords will be the standard style of KOTETSU. KO-GUNOME BA has KO-ASHI. SUGU YAKIDASHI. NOTARE. Some OKISATO style JUZUBA String of Beads HAMON. Notare line holds Nie Gunome-Midare in clear Nioi-Fukashi with fallin Ashi and running Sunagashi. 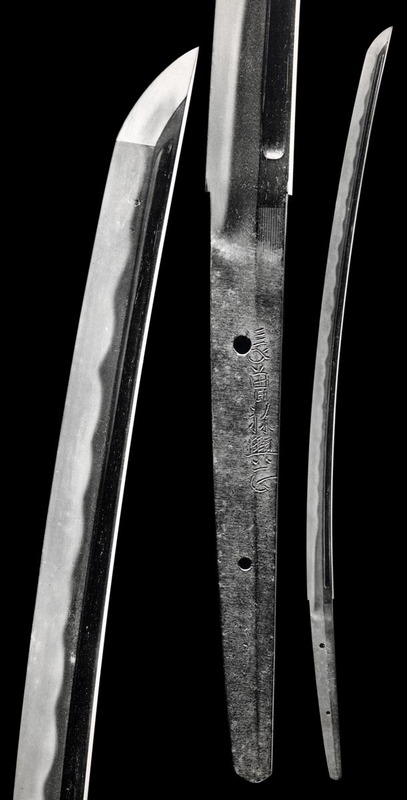 Shinogi-tsukuri, Ihori-Mune, wide blade with shallow curve and Chu-Kissaki. Flowing Itame Hada has Masame in the Shinogi-Ji and Ji-Nie. Gunome-Midare Ba in a high Notare line has long-falling Ashi. 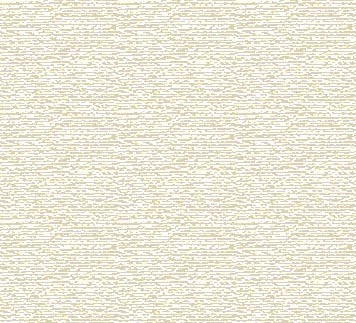 Nioi-Fukashi and Nie. Shinogi-Tsukuri, Ihori-Mune, wide, strong with deep Sori, Chu-Kissaki. Standing Ko-Itame mixes with Mokume Hada. Masame in the Shinogi-Ji. There in a thin veil of Ji-Nie. High flowing Hiro-Sugu Notare has Juzuba "String of Beads" Gunome with Yo and deep Ashi in clear Nioi, Nie and some Ara-Nie. Saagari Chu-Suguha Boshi Ko-Maru Kaeri. Shinogi-Tsukuri, Ihori-Mune, wide, shallow Sori to elongated Chu-Kissaki. Standing Itame Masame mix with Chikei and Ji-Nie. Masame becomes strong in the Habaki-Moto. Ko-Nie and clear Nioi Gunome-Midare that is grouped and rounded, where Sunagashi and Kinsuji becomes strong in the troughs. Saagari Ko-Maru Boshi has Hakikake and short Kaeri. Ko-Itame Hada has Ji-Nie and Chikei. O-Hada in Habaki-Moto. Masame runs in the Shinogi-Ji. Gunome-Midare Ba in Ko-Nie with Ko-Ashi and Sunagashi. Lower finds Suguha as Yakidashi. Hoso-width Sugu Boshi has Ko-Maru. Ko-Itame Hada with Masame in the Shinogi-Ji. Ji-Nie. Flowing Hiro-width Notare of Gunome-Midare Togari Ba Sunagashi and Ara-Nie. Midare-Komi Boshi with Hotsure and Togari Saki, Ura has Maru with Hakikake.